In exploring the subject of drug testing in the workplace, the author of this work identifies two separate classifications of corporate "Employee Assistance Programs" (EAPs): the "controller" and "helper" models. 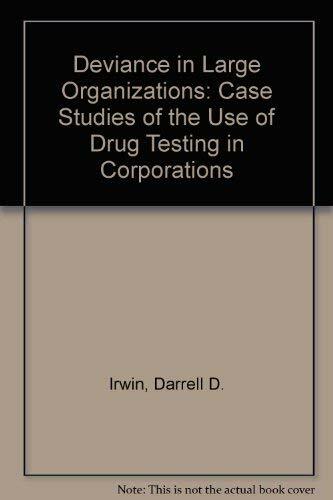 The "controller" EAP subjects employees to drug tests in order to provide a missing internal structure - yet the structure of the corporation is where this study finds the problem to exist. Yet employees continue to have no reasonable standards of privacy or civil rights when faced with drug testing. Despite expectations to the contrary, unions often support the drug testing. This research proposes that corporations initiate "helper" EAPs which maintain a programme of referral services, confidential counselling and the opportunity to return to work.